Teacups in the Garden: How do I Plan "Becoming History" Presentations? How do I Plan "Becoming History" Presentations? Often I am asked how I plan history presentations. First the how is wrapped up in the why. If we know why we do something, then our process of completing the goal is easier to set. With my goals established, I involve my kids in the planning process. Because I make many of the choices throughout our studies by assigning this and that, this is the chance for my kids to make their choices of who they are going to be. Furthermore the student is more likely to be motivated to excel in extra research for their presentations if they are given freedom of choice. Not only that but this gives them a chance to grow. When they are adults they'll have to make their own decisions. This is a chance to pracitce decision making and goal setting in a safe and fun environment. It's amazing what my kids do when they choose and want to do something, as opposed to when I assign something. Usually my kids choose their favorite person from their history studies. One time my daughter chose a favorite character from her Rhetoric literature book, Sense and Sensibility. 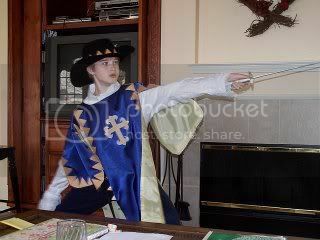 My son often chooses to be himself, but in another era. He has to do his research to create his character and this actually employs higher level thinking skills than merely becoming someone who lived in the past. Be open to possibilities! My goal for a history presentation is not only to have fun, but to attempt something challenging and different. Homeschoolers have rare moments to use speaking skills. 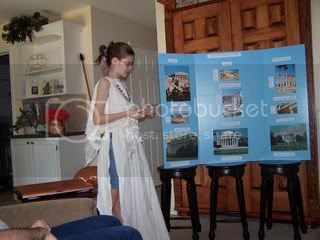 History presentations are a wonderful opportunity to let the kids have fun while trying out their speaking skills through a recitation, skit, speech, or presentation. Therefore speaking parts are required! How do I choose? Start slowly. In the beginning, for our Egyptian presentation, we gave a brief introduction to our characters and explained what was learned while showing off all the projects. Well, if my kids can do an extemporaneous introduction, why not raise the bar a wee bit? For the next history presentation, as Ancient Hebrews, I assigned a speech. 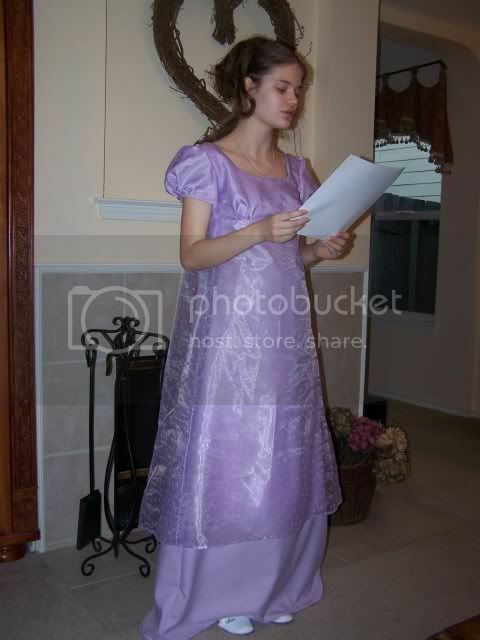 A year later when we studied the Elizabethan Era, I started adding recitations. We had to quote Shakespeare! Next time around, perhaps we can do a Shakespearan play! When we studied Ancient Rome, we learned that they used lots of rhetoric. Therefore the kids wrote persuasive essays. 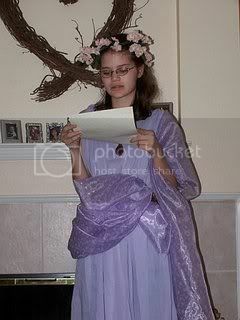 I printed them out on parchment paper, we rolled them up into scrolls and they were read for the history presentation. 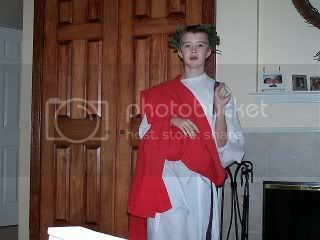 During our Ancient Rome unit, my son memorized a famous piece of rhetoric of the Apostle Paul. Now that one speaking piece is scheduled for the history presentation, what else? Costumes! I know, I know, not everyone is as crazy as I am for attempting to do so many period costumes in one year! Some of my friends who do know how to sew but don't enjoy it or don't have the time have Ebayed their costumes. 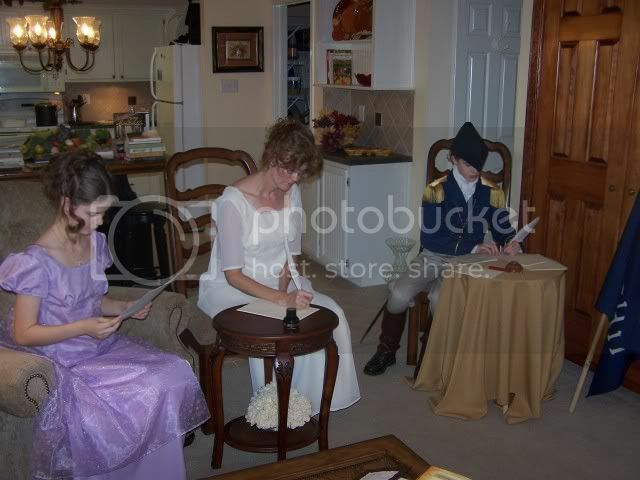 In the picture below, the kids in the middle are mine and I sewed their costumes. I made them simply, because I had recently done the fancy Elizabethan ones and wanted a sewing break. (Yes, even I get tired of sewing sometimes. =) However the girls on each end are my friend's daughters. My friend, who can sew but doesn't enjoy it, ordered their costumes off of Ebay. Aren't they great!? How do I lay my plans out on paper? This is the brainstorming part. I use blank printer paper. I jot down ideas while I go through our books and jot anything down that inspires me. The sky is the limit. The more I write, the more ideas I get. My wheels continue to turn as I go about the day and I go back and jot things before I forget them. There are so many art projects from which to choose, yet we have a limited time. I try to narrow down the field by looking at projects that reflect the culture studied and will teach us the most. 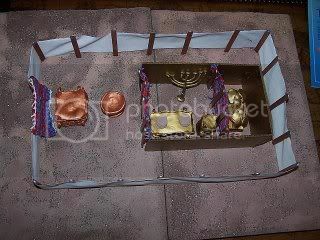 For example, when we studied the Ancient Hebrews, I knew understanding the layout of the tabernacle would be confusing. So we made one from scratch! When we studied the surrounding ancient cultures to Israel, we made our versions of their famous forms of art. We made friezes. 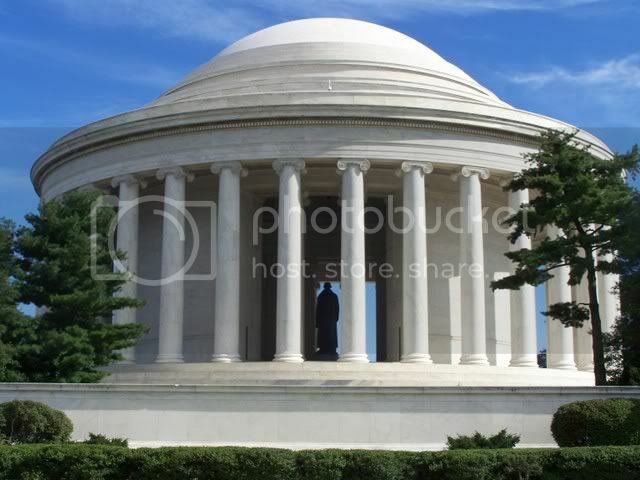 When we went to Washington DC last summer, my kids were commenting on all the friezes and appreciating the craftsmanship. They knew how hard these were to make. When we studied Ancient Greece, we studied the different columns. Now wherever we go, if they see a column, they say, "Mom! There is a Doric column!" 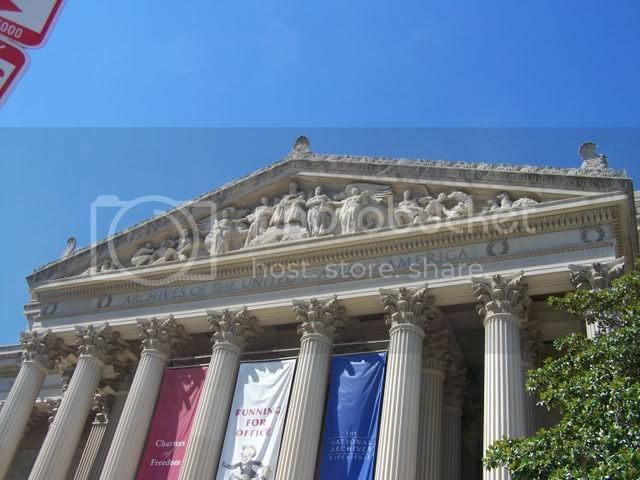 or "There is a Corinthian column!" 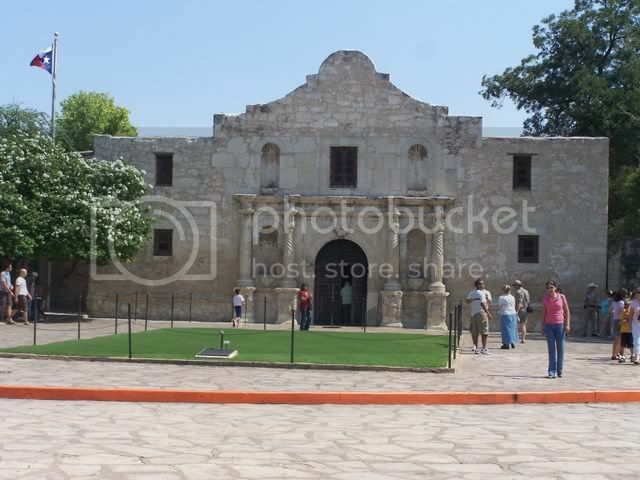 We used to live in San Antonio, Texas and as many times as we went to the Alamo, imagine our surprise at our first trip back after studying columns. Did you know there are columns on the Alamo? 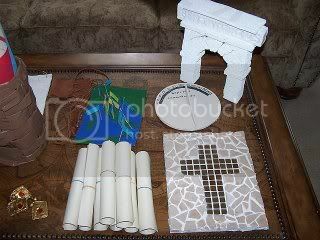 When we studied Ancient Rome, we made mosaics. When they saw the mosaics at the Library of Congress, they were impressed. Mosaics are not easy to do! When we studied the Middle Ages, we made an illuminated alphabet. Again, this was not easy. In Washingon DC last year the kids got to see the Gutenberg Bible and they could appreciate the craftsmanship. 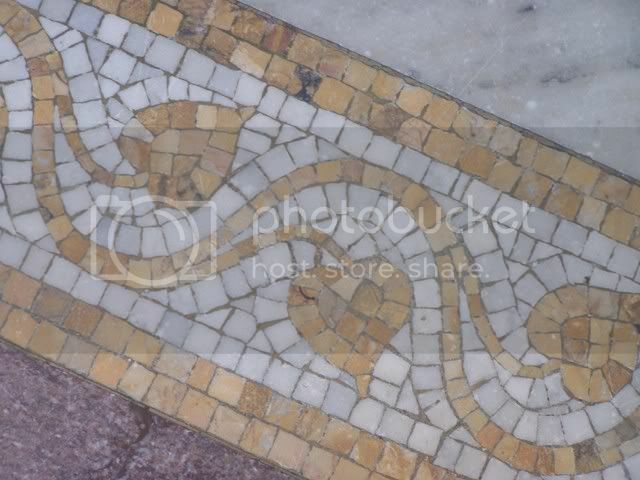 So instead of coloring a mosaic, I'd encourage making a mosaic with broken tile and grout. These still decorate my kids' rooms. Those are the best projects I think. We also have food because we are always hungry during these presentations! There are kids' craft books that have recipes. Googling works. Sometimes my daughter goes through our books and lists the foods and cooking techniques we've read about (a major character in Egypt may have had lots of fish to eat). Sometimes we create our own recipes. The Ancient cultures did lots of roasting. The French boil their meat whereas the British roast their meat. The British eventually used butter and the Mediterranean used olive oil. It's been interesting what we have learned about food patterns over the years. How do I plan the sequence of events? This varies with each history presentation. Basically we usually eat first because I am prediabetic and I HAVE to eat! We usually have a salad and a grilled chicken of some sort since those are free foods for my prediabetic blood stream. Most cultures at least had that for food. I can fill up on that and nibble on the rest of the goodies. Then I have energy to get through the evening. 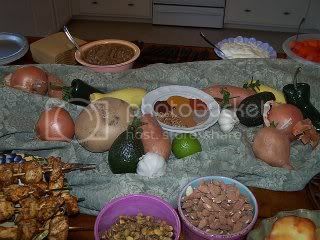 Since we had a small dining room in the Texas house (we just moved to Virginia) we usually did our meals buffet style. Now I have a larger dining room but fewer guests (we left Grandma and Grandpa in Texas). When we did our Medieval Feast we HAD to eat at the table. So we flip flopped the furniture between our living room and dining room. This was not easy moving big furniture through narrow spaces. But where there's a will there's a way. For wall decor my daughter had made stained glass with tissue paper and black posterboard. (I try to keep things simple and inexpensive. My wheels are constantly turning.) 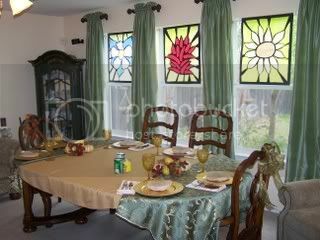 I hung those in our windows to see the pretty stained glass. I've known of some co-ops that do this in a church, which is bigger to accomodate all the families. A great medieval spot would be a picnic ground like a Ren Faire recreated by homeschool students. Why not? 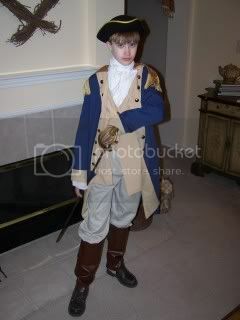 How do I personalize the history presentation according to my kids' interests? My daughter likes to make jewelry so she always researches a typical piece of the period and we go to the craft store and figure out how to recreate it. 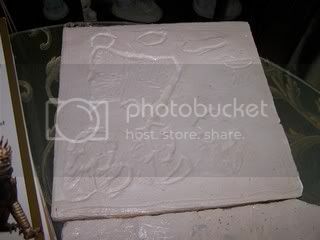 If something completely new needs to be made, we might use a special clay that bakes and then she paints it. My son always has a hat, a weapon it seems, and usually a noisemaker of some sort. 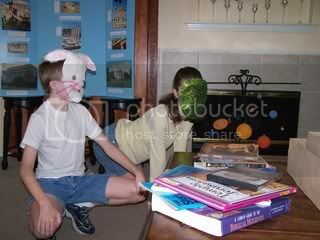 He usually creates the props for his own costume. 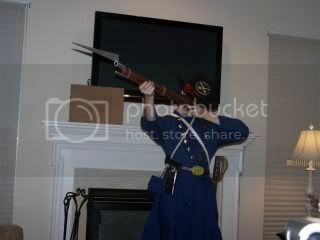 Recently he created a bayonet for his toy rifle for this Civil War history presentation. When he was a musketeer, he made a sword. That gave me an idea. I found a web site that taught fencing. So he did a presentation on fencing moves. 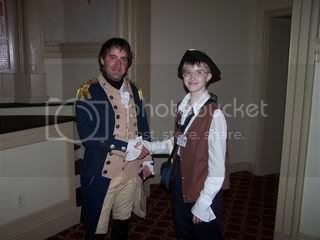 Then when he was Lafayette (not for a history presentation but for a Colonial Williamsburg Electronic Field Trip project on Yorktown...this is getting contagious!) he enhanced his musketeer sword to look like Lafayette's. 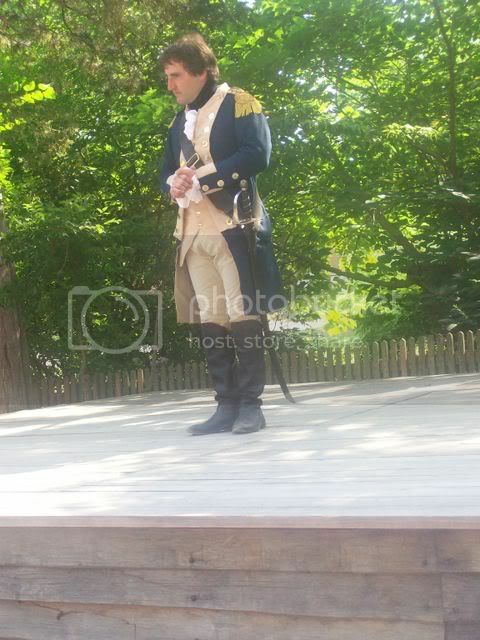 We had the wonderful opportunity to meet Lafayette a few months before in Colonial Williamsburg. My son analyzed vacation photos of the sword Lafayette wore to upgrade his sword. My kids take piano lessons, so they always choose a piece that was written during the era studied to play. My son also plays the fife. We find a patriotic tune from the era for him to play. 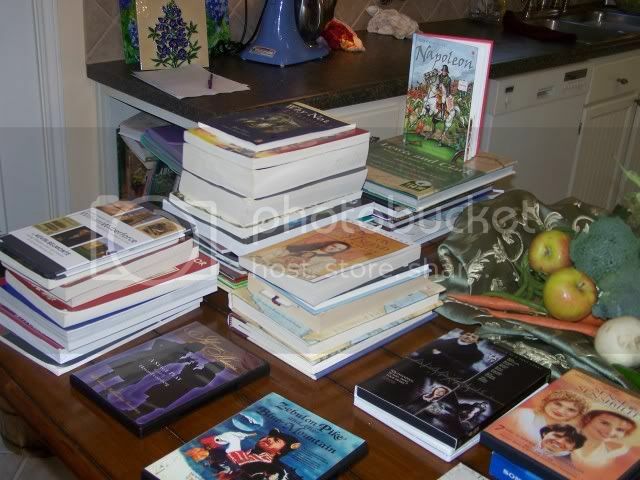 On the big day, lay out all of the books we've read on a table. (The table is not always this full, but this was one of our favorite presentations.) Merely seeing that incredibly full table will give all of you a major feeling of accomplishment, while impressing the guests! On another table lay out your year plan and your kids papers, maps, timelines, etc. Showoff the work! They become part of the mini-museum. If there are guests, write a little sign that says, "Welcome to _______________" and name the era and write the dates. Put that in the entry way. Don't have enough tables? Use those little round particle board tables with the 3-4 legs that screw in. I have lots of misc fabric that I use for table cloths. I buy fabrics on sale a lot. I try to use rustic burlap type fabrics for the most ancient cultures. The fabric gets more sophisticated with the varying advancing cultures. Using a fellowship hall? Set the display tables around the room and arrange the feasting table for the families and guests in the middle of the room with the stage in front. For the food table do a nice centerpiece typical of the era. Or buy lots of produce, typical of the era, to use as display. If you're in a co-op everyone can bring a representative food for the centerpiece. When we did India and China, which was rich with spices, I poured little piles out onto a plate for part of the display. Put out all the art work. Decide on where the stage will be. Have fun!